What is SharePoint Document Management and how beneficial is it, when based on Microsoft Dynamics 365? Services delivered traditionally entail working together on documents through the organization based on particular processes. 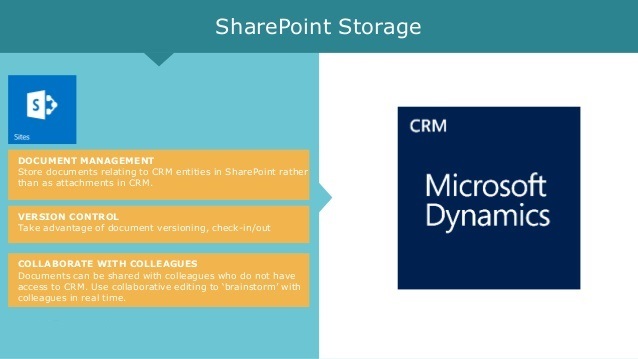 Microsoft Dynamics SharePoint accounts for easy, effective and controlled access to appropriate documentation. 1. End users do not have to fill in any kind of metadata. 2. Documents get stored in a fully managed site in SharePoint. 3. Document Names based on metadata get converted to a common name with consistency and meaning. 4. Smart Searches for Documents with pertinent metadata objects can be made both in internal as well as external collaborative workspaces. 5. The moments documents get barred, they can immediately be automated and controlled, and also optionally backed up and removed as well. 1. Once necessary customizations have been done by the concerned Microsoft Dynamics Partner Australia, organizations will become better, faster and smarter. They will begin working effectively to create documents. Since this feature supports tasks, workflows and versioning, companies gain the chance to share mutual knowledge. 2. Microsoft Dynamics 365 via SharePoint makes it possible to share information with customers and suppliers. It will provide insights into inventory for a limited number of suppliers and will help set up a knowledge base with FAQs. 3. Finding information regarding an ongoing or completed project will become a quicker process. Whatever problems crept up and the finished look of the project are things that will become easy to know. There are advanced search functions that help with searches not only on document files but also the entire content of documents. 4. Latest versions are always available thanks to this. Multiple people can be collaborated with on a document and the system also offers advanced version control and ensures older versions get saved automatically. 5. Precious time can be saved by automating SharePoint processes otherwise performed manually. A highly user-friendly web environment ensures that end users always have the ability to share files and manage agendas without muss fuss. They always have access to the last modified documents through version control. So this was all about SharePoint Document Management based on Microsoft Dynamics 365.